The Ivan Wallace Memorial Plate was played for on Sat 26th December. Academy Under 30 XV v Academy Over 30 XV. A very evenly contested match with the Over 30 XV captained by Clarke Cooper losing out to the Under 30 XV captained by Chris Copper – 15 -12. 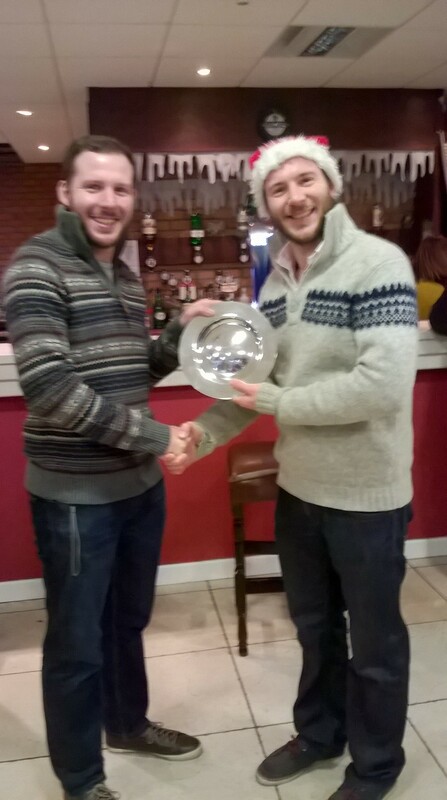 Chris Cooper receiving the Ivan Wallace Memorial Plate from Clarke Cooper.